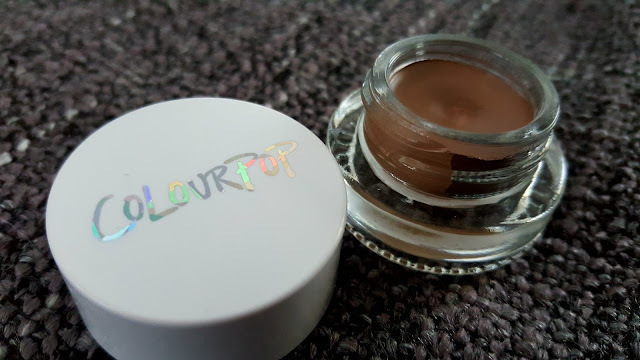 Today I want to talk about the Colourpop Brow Pot and Brow Pencil in the shade Dope Taupe. I have both the pot and pencil in dope taupe. 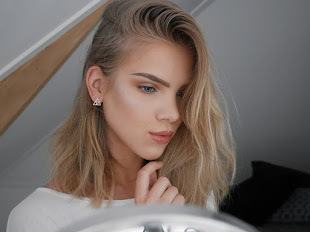 I never used a gel like product for in my brow's so I am really exited to try it out! 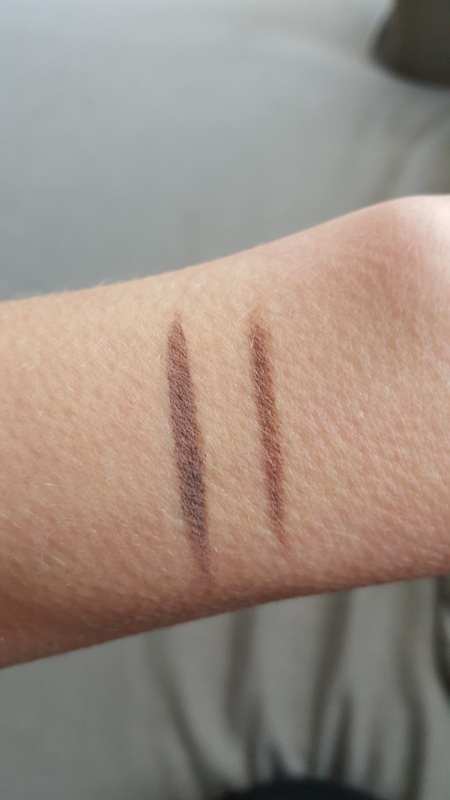 This time I start with the swatches. I like the color of the brow pot a bit better for my brow's. It is a little more on the cool side. But I like the pencil as well even it is a little warmer. I live to combination then as well. Then I use the pot on the end of my brow and the pencil in the beginning. I like the packaging of the brow pot a lot it is very simple and I like it. The cap is white with the silver duo chrome logo on it. And the pot where the product sits in is transparent. I am sorry for the bad quality. In a few weeks I have a better camera. But I like this a lot on my brow's. 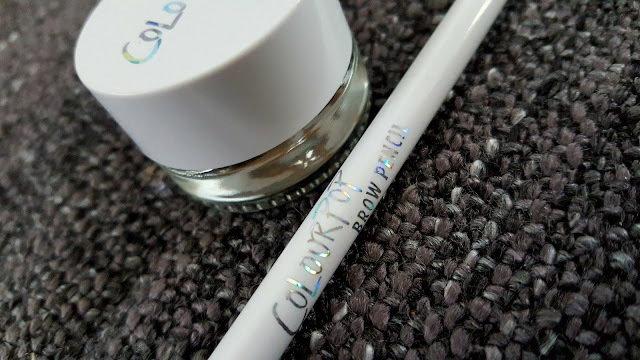 You can create very nice and clean brow's with this product. The product is nice to use because it is not to soft or the hard. When the product sets it will stay in place the whole day. That is something that I love about it! There are 8 colors of this product from light blond to black. So I think there will be a color for almost everybody.! I like the small point of this pencil. I like the slim packaging of the pencil and that there is a spoolie at the other side of the pencil. It is a retractable pencil so you can't get the product in after you get it out. So yeah I really recommend this brow products. I think that a lot of people will enjoy it! There are 8 different colors of the pencil and the pot so there will be a lot of people that can find there color. The Pot is 6 US Dollar and the Pencil is 5 US Dollar.